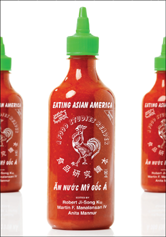 Eating Asian America: A Food Studies Reader collects burgeoning new scholarship in Asian American Studies that centers the study of foodways and culinary practices in our understanding of the racialized underpinnings of Asian Americanness. 8. Lechon with Heinz, Lea & Perrins with Adobo: The American Relationship with Filipino Food, 1898–1946 René Alexander Orquiza Jr.
PART III: FUSION, DIFFUSION, CONFUSION?